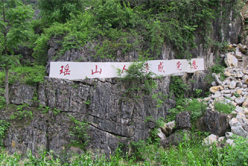 Project Introduction: Longmen Town is located deep inside mountain area, 22km away from nearest county at 620m above sea level. People are living on water from water pit. People are living in extreme poverty. 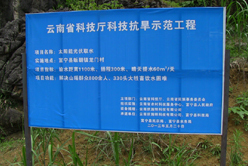 In 2008, the central government announced support for mountain areas. After several years of development, local economy has improved. 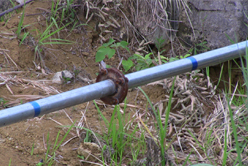 However, in recent years, drought greatly impacted the area. Solution: Under these circumstances, Province Science Bureau set up special focus group to solve the problems. 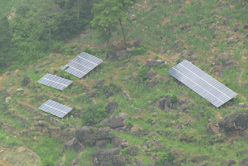 The project was then implemented by Funing County government and constructed by Yunnan Fushite Technology Co., Ltd.
Solartech PS26K system was chosen to pump water from river at the bottom of mountain with total 300m total head. System outputs more than 60m3per day with 1100m of water delivery range. 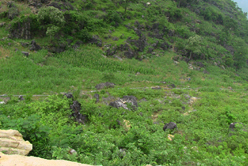 Water supply for more than 800 people and 330 livestock(animals) are fully met. 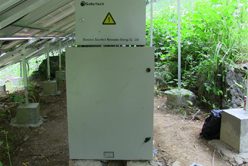 Economic Benefits: The Solartech PS26K solar pumping system could generate 87600 kWh of electricity annually; 823.4 tons of coal saving in its 25-year service life; 362.3 tons of CO2, 16.5 tons of SO2, 12.4 tons of smoke and 214.1 tons of ash reductions in its 25-year service life.